Construction workers push cart past Swedbank local headquarters building in Tallinn, Estonia March 25, 2019. 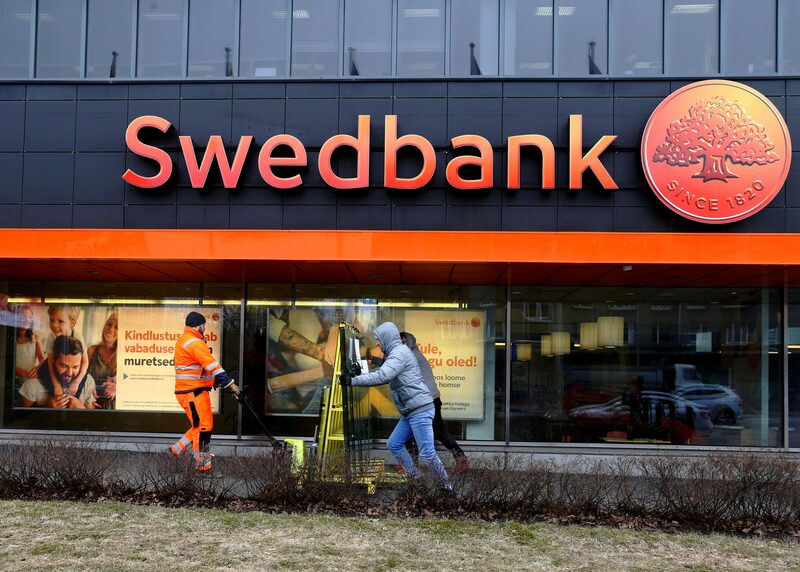 Swedbank on March 28 dismissed its chief executive, Birgitte Bonnesen, after the lender faced allegations it was involved in money laundering in the Baltics. In an announcement made shortly before its annual meeting, the Swedish lender said its board of directors had appointed Finance Director Anders Karlsson as acting CEO. Bonnesen's position became virtually untenable after three of the bank’s top five investors said they would vote against granting her freedom from liability for its latest financial results at the annual meeting. Swedbank shares had fallen 3.7 percent to 148.45 Swedish crowns by around 0900 GMT on March 28, shortly after which trading was halted.